Munich’s considered a master of the six cylinder engine. 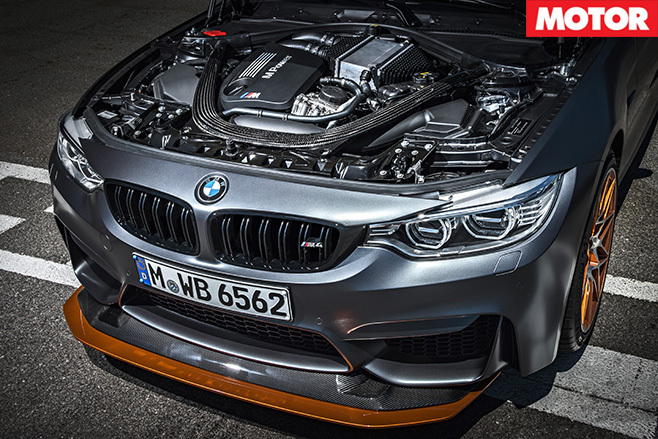 The fact its second-gen M3’s humble 3.0-litre inline six closely matched its greatest ever, the McLaren’s 6.1-litre V12, on specific torque, power, and peak power revs, enforces legend. 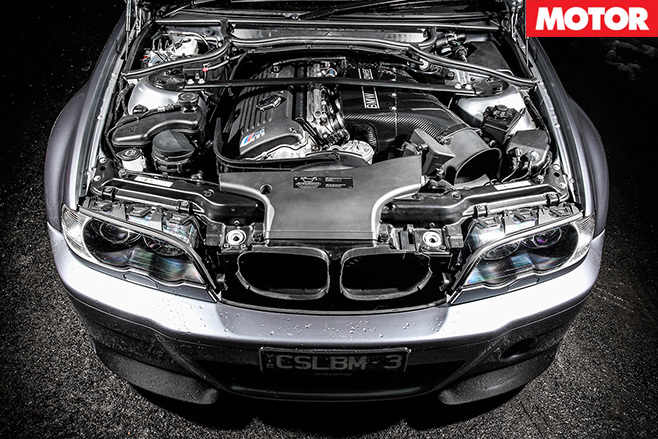 The accolade was further cemented by the third-generation M3 and its 3.2-litre straight six. Not only could the DOHC 24-valver wind up to dizzying revs with 252W, it made 114Nm from every litre of displacement. Today’s a HSV Clubsport R8 LSA makes 108Nm per litre. But the real peak of six-cylinder supremacy came in 2004 when the dusted off its revered letters CSL (Coupe Sports Lightweight) badge. Slapped on the back of the 1400 lucky E46 M3s, engineers tweaked its cam profiles and gave it a bin-sized carbon fibre intake manifold. Powers jumped by 13kW to 265kW, and torque figures a measly 5Nm to 370Nm, but it wasn’t revered for numbers. It was the sound. We once best described the resulting shriek to be like a “Formula One car with a sore throat.” And after hearing the car again at The Bathurst 12 Hour, where BMW Oz brought along its sole heritage example, we agree. It’s utterly, wildly, intoxicating. A lot has changed about the company’s M halo coupe. It has a new number designation and turbochargers, but its ethos stays the same. At least for the M4 GTS we also had along with us. Something of a successor to the M3 CSL, the GTS repeats the same formula with less weight (no rear seats), sports focus (roll-cage), and a two-door body style. And it boasts outputs the old M3 could only dream of (a water-injection assisted 368kW/600Nm). But can the CSL’s younger brother muster a better bark? We lined up the two in the carpark to see whether the GTS’s Akrapovic assisted growl has moved the game forward. Tell us which you think sounds best.